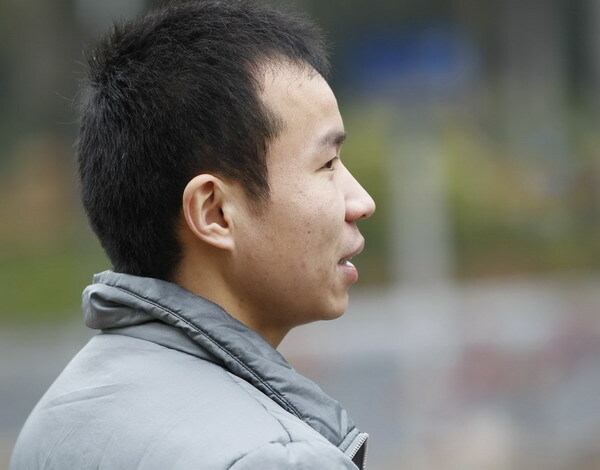 GUANGZHOU - After spending three years helping 59 trafficked children get their lives back, 29-year-old Zai Zai (not his real name) has said he hopes to get his back, too. His voluntary work reuniting kidnapped children with their families and saving them from forced begging has cost him his girlfriend and most of his savings. However, he said, he has come to realize he cannot stop his work and must instead find a way to strike a better balance between living his own life and saving these children's. His most recent rescue took place in Guangdong province's Shenzhen city, where he assisted police in saving two boys and one girl kidnapped from Central China's Henan province and forced to beg on the streets. He recorded the rescue in real time on his micro blog on t.sina.com.cn to the enthusiastic praise of hundreds of followers. Zai Zai is an alias he uses because he works undercover, he explained. Spending so much time infiltrating the ranks of human traffickers who enslave children has also given him serious insomnia, he said. "(Child traffickers) are cunning. You need to always stay one step ahead of them," he said. Zai was born in a mountainous area in Langzhong, Sichuan province, to poor parents who were too busy struggling to make ends meet to spend much time with him as a child. "I understand the victims' families," he said. "I came from a situation where I longed for help. It was desperate. I don't need any other reason to care about them." His family's lack of money forced him to drop out of junior high school during his first year. He then went to study martial arts for six years at Henan province's Shaolin Temple. Zai joined the Armed Police at the age of 19. He began working in Guangdong province after he left the force in 2003, most recently taking a job as a taekwondo coach. It was in 2007 that he became involved in saving trafficked children. He had seen two adults savagely beating some children selling flowers near the Tianhe Sports Center in Guangdong's provincial capital Guangzhou. "I believed these children must be under the control of other people and began to look for a way to save them," he said. He went online to find a woman to pose as his girlfriend, as the children targeted couples. The two bought flowers from the children every day and secretly followed them to where they lived. Upon discovering where the children were held, they reported the case to the police. Their work led to the rescue of six children and the arrests of several members of a human trafficking ring. He has since devoted time to scouring the Internet for clues about abducted children. He began posing as a purchaser and would inform police when he confirmed he had located sellers. The flexible schedule of his job as a taekwondo coach allowed him the time to track the traffickers, and his employer has no idea of his secret double life as a crime fighter, he said. He is able to ensure his safety through his training from Shaolin Temple and the Armed Police, he said. He has been joined by about 500 volunteers who started a website to counter the abduction, sale and enslavement of children about three months ago. "It's a rewarding feeling when I know a child has been returned to his parents. But it doesn't last, especially after dealing with so many cases - there are still so many kids out there who need help," he said. He was twice invited by the Ministry of Public Security to participate in anti-abduction conferences in Beijing. And he is listed among 20 candidates for the annual recognition of "people who touched the hearts of the Chinese people" organized by China Central Television and among another 20 candidates honored as "justice seekers" every year by various mainstream media. But Zai's achievements in combating crime have cost him dearly in his personal life. Zai's rescue work has required him to travel, often by air, throughout the country at his own expense. He has spent more than 300,000 yuan ($45,547) on his work to date, he said. He has hardly been able to send any money to his parents and 80-year-old grandfather in his hometown. "My parents support my anti-trafficking work. But they don't know about the (risky) process - just the results. They hope I can have a family of my own soon." His girlfriend left him, because he spent so much time and money on his work and received threats from traffickers. Zai said he is happy to see a growing number of people joining the fight. And he is also encouraged by the impact the Internet - especially micro-blogging services - have on making it easier to nab traffickers and rescue abducted children. His new mission is devising ways to save more time and money while expanding his anti-trafficking efforts. "Hopefully, I can do less traveling and fewer investigations on my own and get more help from the police," he said. Zheng Erqi contributed to this story.